This outfit will be iconic for many reasons. 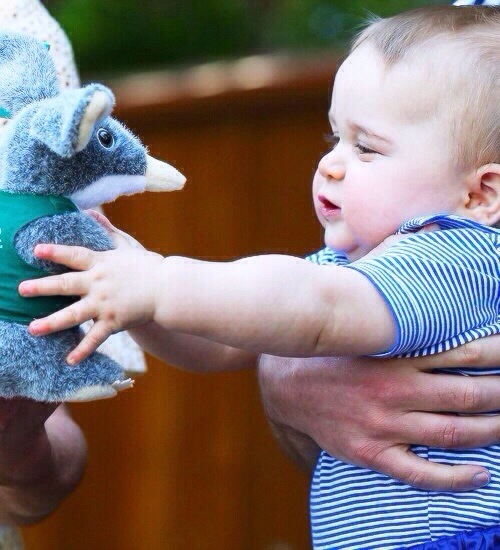 Among them being the first outfit we’ve seen Kate wear while wrangling a very bouncy baby George, as well as the first outfit of the tour. But let’s be honest, this dress will forever be associated with one of the Duchess’s more disastrous ‘Marilyn Moments.‘ It’s a lovely dress. However, I think it was a bit too ‘uniformy.’ and I’m still recovering from the fainting spell I had when I learned it cost $2,521. Not to mention her attempting to channel Diana and Jackie O. You’re you, Kate–And when you want to be you can be pretty fabulous. Own it! The best comment on the dress came from Twitter where someone mentioned that Kate spent 90 hours buttoning the buttons on this dress coat. 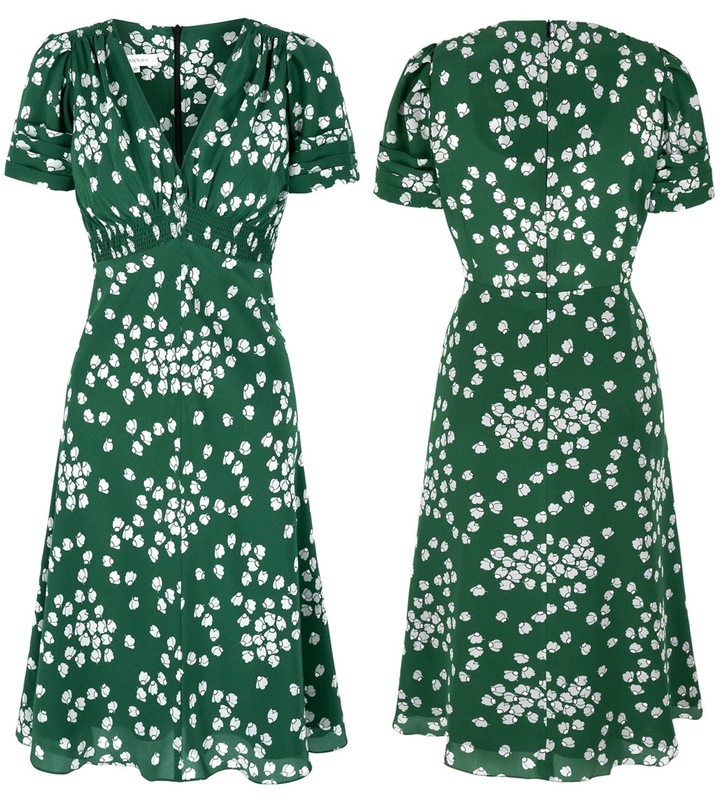 It’s so hard to narrow my list down to just three, so I’m going to say ‘all and any ruby green dresses’ for number two. I love green. I really do. I think it can look really great sometimes. This was not one of those times. I’m shocked Kate went for this look. Color aside, the zipper, robe-like silhouette is terrible. It’s not even salvageable if she were to add certain accessories. It’s just bad. And what on earth is that stitching? Did she pack some sort of basket on top of it, causing those stitch-like wrinkles? All for $3120 (last seen going for half price). Had Kate opened the jacket and allowed the dress beneath to show, it could have been an OK look. Could, not definitely would. But the look as a whole was a major bust. It was a tough call, I really disliked most of the outfits, but this entire look was a miss for me. The makeup. The sausage roll curls… drab. Absolutely drab. 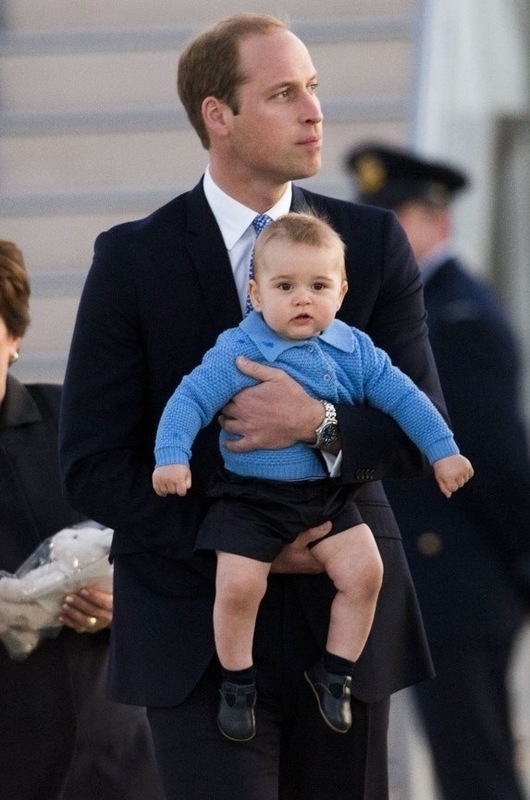 And, for royal tour wardrobe costing $65,000 I expected a LOT more fab. I appreciate the direction Kate was going with this look. No one’s a bigger fan of skinny jeans and blazers than me…but the gold buttons on this blazer, paired with the checkered shirt screams mannequin to me for some reason. But had the buttons been a bit more subtle, I think this look could have been tops. 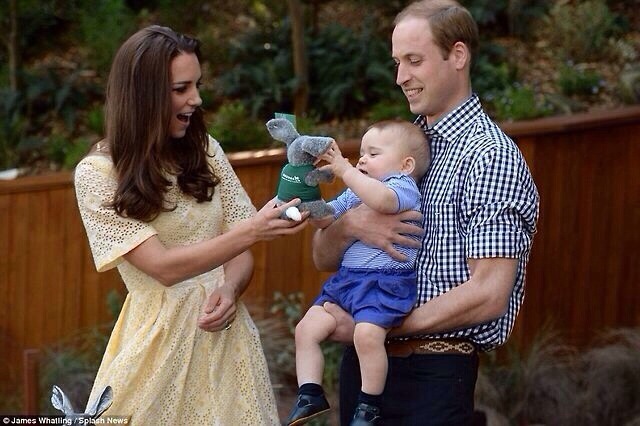 Plus, major props to the Duchess for showing some love for GAP. See my favorite looks here. So that’s my measly input regarding the whole tour-drobe. And yes, I know. I am writing this while wearing my snazziest Old Navy black, long-sleeved tee, and a pair of GAP Jeans, so my vote means essentially…nothing. But, in my dream world, when I wear dazzling designer duds and essentially live the life of a Duchess, these looks would never do. 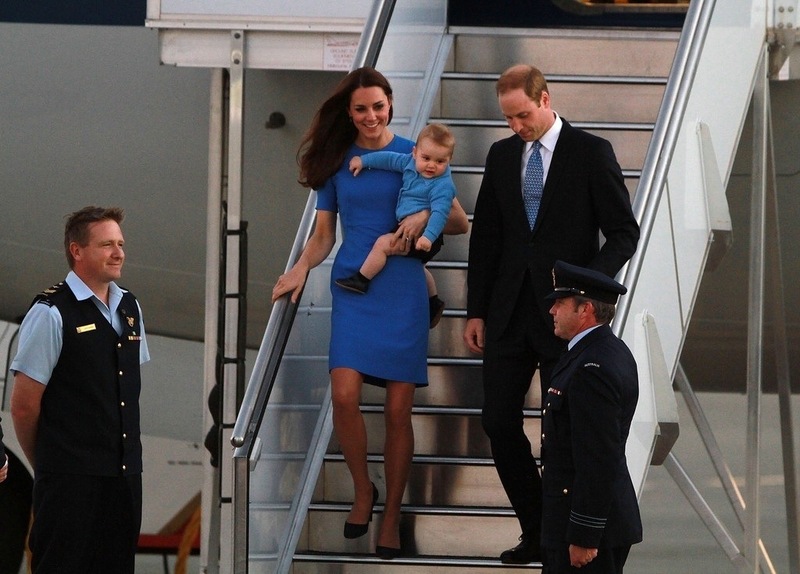 And, as always, check out What Kate Wore for all the details on Kate’s looks. From her sleek, pulled-back, age-appropriate hairstyle, to the classy, yet chic silhouette of the poppy L.K. 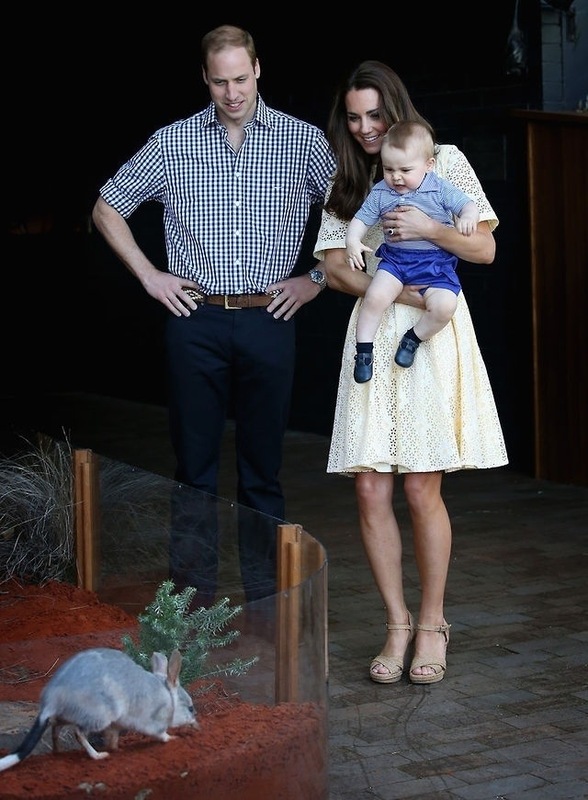 Bennett dress–this look was spot on for the 31-year-old Duchess and the occasion and setting (an early fall, certainly still warm in Australia). The navy blue Alexander McQueen pumps and matching Oroton ‘Odeion’ Clutch in Indigo added just enough polish to the outfit, without being too look at me! 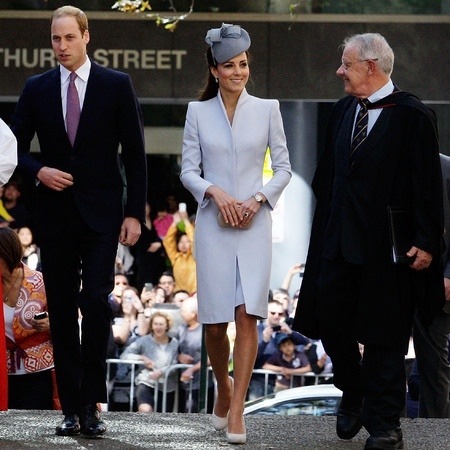 The Michael Kors’ tweed coatdress Kate wore for her last engagement of the tour, the Anzac Memorial Day Ceremony, was not only a look that is both sophisticated and modern, but was also a modern take on a timeless look. The hat added a perfect finish, and her hair was not as though she had just let it out of sausage rollers (as we so often see it). When her hair wasn’t in the way, the poppy broach was a lovely nod of remembrance. 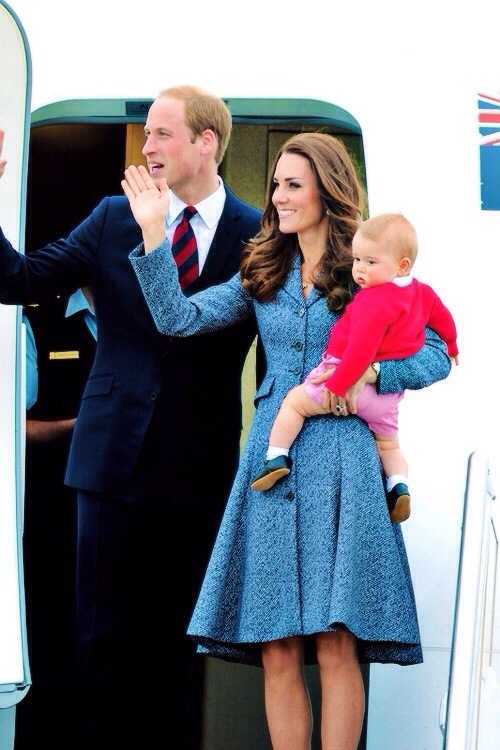 If Kate’s style continues to evolve in this direction, we have a lot to look forward to fashion-wise. I didn’t love this suit by Luisa Spagnoli, but the look, overall, was lovely. Red suits Kate, and her hair pulled back always makes her look her age. (I feel like when she wears her hair down she is trying to look overly youthful, which in the cruel ways of life, actually makes her look far beyond her years.) 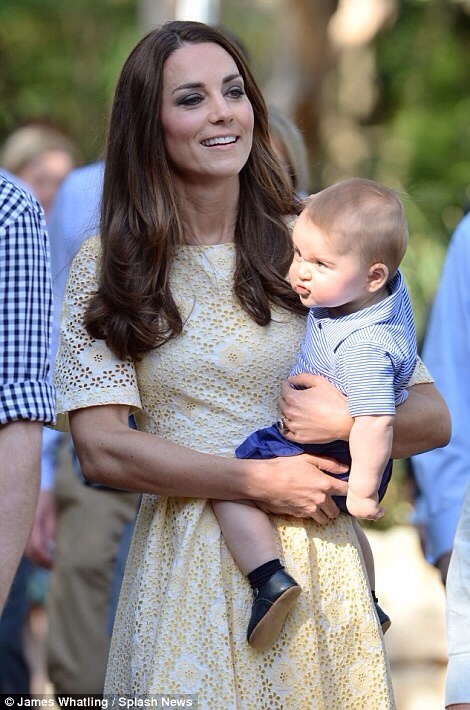 The peplum at the waist added some curves and she looked like this was something she would have worn pre-Duchess days. It is a recycled piece, and I think the way she styled it is simple chic. 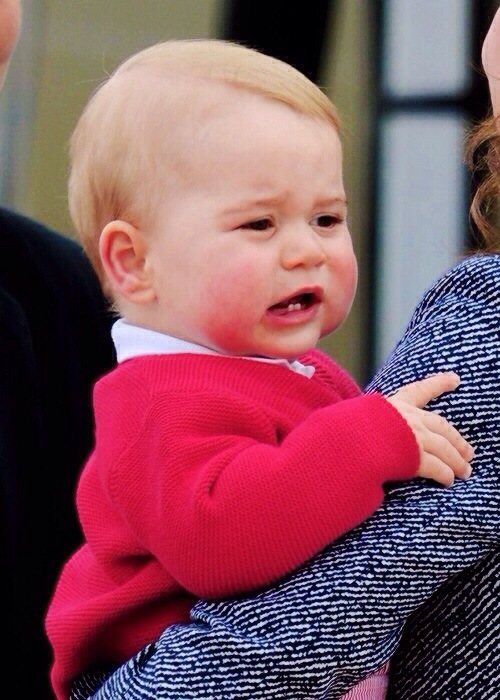 Kate looked so natural and stunning when she was out in her element, on the water, racing Prince William. Plus, I’m always a fan of a ponytail and stripes, so it’s no surprise I adored this look of hers. 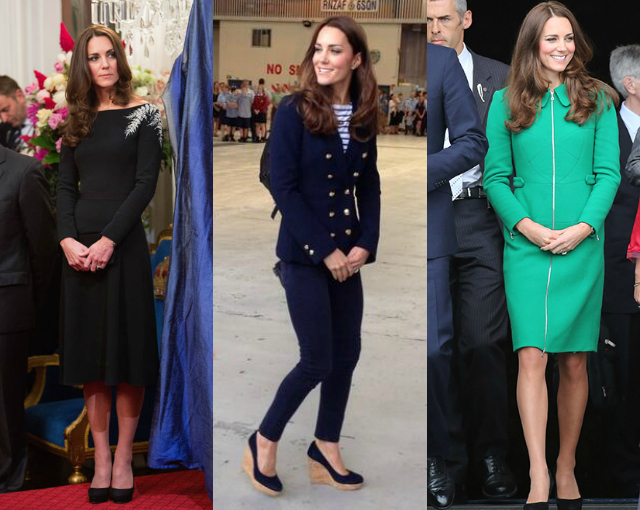 While this tour had more misses than hits regarding Kate’s fashion (in my opinion, at least), it all makes for a rather gorgeous recap. The one featured above–from the tumblr I Love Her Dress–is absolute eye candy. Just as quickly as it began, it has ended. 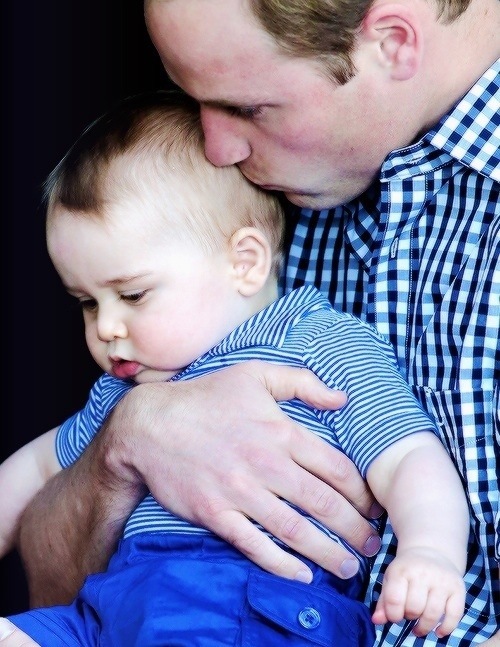 For now we simple bid them adieu and catch up on the reality of our non-royal existences…sigh. 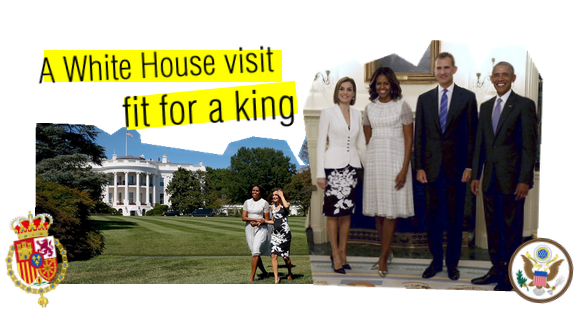 Pop quiz: where do you suppose they’ll vacation after this grueling vacation Tour? My guess: somewhere tropical. Albeit incredibly secluded. Maybe a private island. 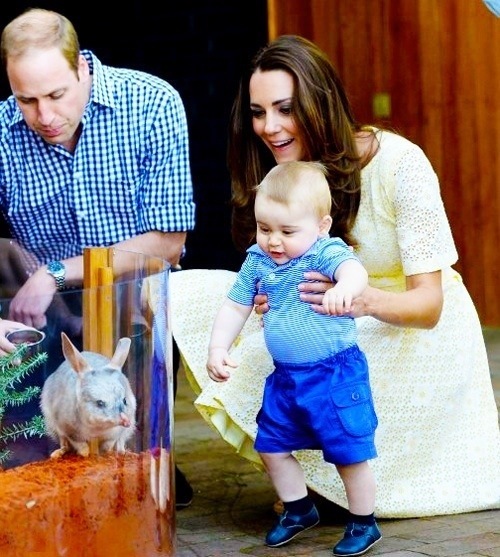 The Duchess of Cambridge seemed to have had someone behind the scenes inspiring her outfits this tour. Whether it is actually on account of the Queen’s requests of longer hemlines, we can’t be sure, but we have seen Kate wear more ‘tailored’ looks lately. Personally, I loved her striped-shirt, blazer, and skinny jeans look she wore sailing. But I like that outfit on anyone. Sadly, none of these looks ‘blew me out of the water.’ I feel there were more ‘mehs’ than usual. I do know that I wouldn’t be sorry if we never see that green coat dress again. That was a definite no. 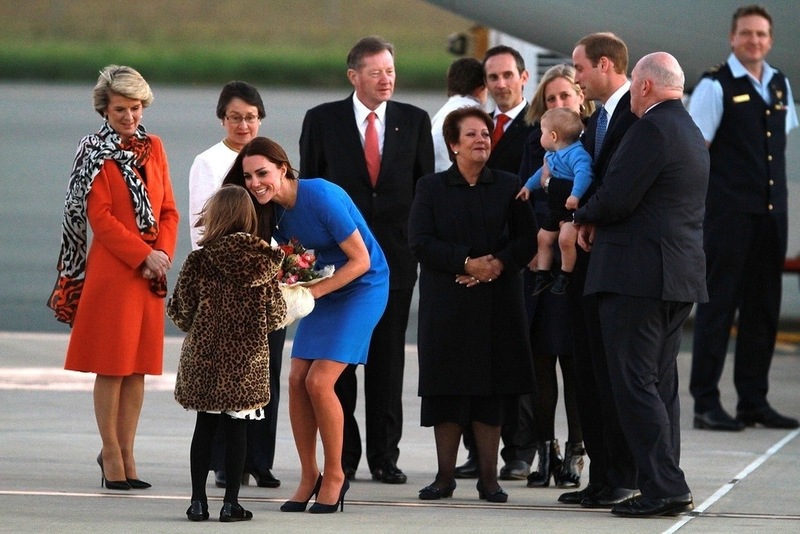 As always, for more information about Kate’s fashion What Kate Wore has you covered!